Origin Fitness is delighted to announce the recent appointment of Marvin Burton as Lead Master Trainer for Origin Fitness. In this role, Marvin will be handling the education and training support offered throughout the UK and has been busy assembling a dedicated team of experts to deliver top quality workshops for clients. Marvin has been active in the health and fitness education sector for over 18 years, bringing a deeprooted passion for the growth of knowledge within the fitness industry. Having supported so many top equipment brands bring their products to the UK market, Marvin is well positioned to help grow and support the Origin Fitness brand within the industry. In the past, he has been a Master Trainer and tutor for some world's best fitness brands including Wattbike, TRX, ViPR and Virgin Active to name only a few. 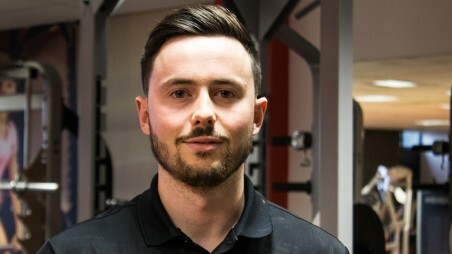 Marvin's regional Master Trainer team will ensure facilities are given the best possible training support and are fully educated on how to maximise the impact of their investment in the latest fitness equipment. This entry was posted in News on 22nd June, 2018 by Erin Lee.